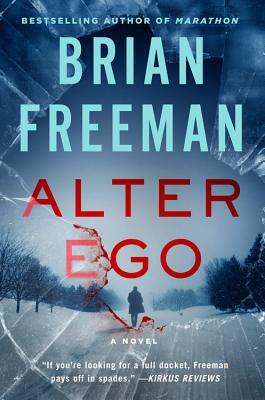 In the latest thriller from #1 bestselling author Brian Freeman, Detective Jonathan Stride must face a powerful enemy who will stop at nothing to protect his reputation. When a freak auto accident kills a driver carrying false identification on the remote roads outside Duluth, Jonathan Stride is disturbed to find a gun in the trunk--and the gun has recently been fired. The next day, a Duluth college student has also vanished, and Stride worries they're connected--but what would have put an ordinary young woman in the crosshairs of a man who has all the hallmarks of an assassin for hire? Stride's investigation leads him to a film crew in Duluth, where a movie is being made based on a case in Stride's own past. The actor playing Stride is Hollywood royalty, an award-winning icon who has charmed his way to the top of the box office. But Stride soon hears whispers that his cinematic alter ego has a dark side . . .
A native of Chicago and longtime resident of the Twin Cities, Brian Freeman is an internationally bestselling author of psychological suspense novels. He is the author of Goodbye to the Dead, The Cold Nowhere, and Spilled Blood--which was the recipient of the Best Hardcover Novel in the annual Thriller Awards presented by the International Thriller Writers organization. Brian's debut thriller, Immoral, won the Macavity Award and was a nominee for the Edgar, Dagger, Anthony, and Barry awards for best first novel. Freeman lives in St. Paul, Minnesota, with his wife, Marcia. "Brian Freeman's latest explores the cult of celebrity and the sociopaths that it sometimes shelters . . . A practically perfect summer read." "Terrific . . . A thriller of the highest order that pits fame against infamy, the past against the present, and truth against lies. Alter Ego will linger long after the story has ended, and I guarantee it will make you look at your favorite movie stars in a different light." "[Alter Ego] finds the Minnesota detective caught up in investigations past and present . . . Showcases Freeman's great talent for juggling multiple plotlines. They fit together with his rich characters like finely honed gears, producing an intriguing and timely tale." "This is Freeman's ninth Jonathan Stride thriller and he demonstrates that he can still knock them out of the park with nonstop surprises and ramped-up suspense . . . This is a multi-plot effort that will have readers frantically turning the pages." "A taut, exciting story that will keep fans reading long past bedtime . . . Freeman evokes Minnesota in January so realistically that readers may require a sweater in June. The only downside to Freeman's Jonathan Stride novels is that there are not enough of them." "[Stride] is in the company of Bosch, Thorne, Tennison, and Skinner, some of my other favorite detectives time has not mellowed."